Get Your House in Sync with the Seagate GoFlex Satellite! Why? Because we have the super awesome GoFlex Satellite from Seagate. 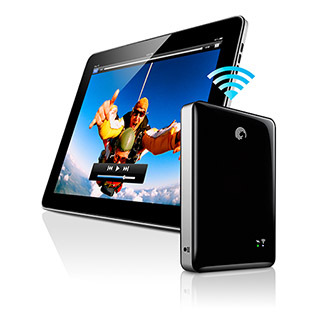 Seagate’s Satellite is a hard drive that streams media wirelessly to up to 8 devices over Wi-Fi. 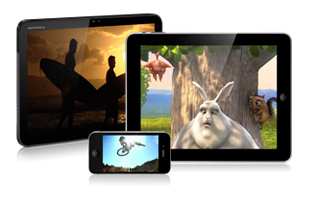 It allows the entire family to access music and movies at the same time on their individual devices. It’s also great for anyone with an iPad who struggles with the limited space as GoFlex Satellite is able to store up to 300 full-length HD movies. The Seagate Satellite™ device lets you take your media library on-the-go and stream it wirelessly to your iPad®, Android® tablets, and smartphones. The Seagate Satellite device goes wherever your tablet or smartphone goes and lets you wirelessly access all your movies, photos, music and documents. No more worrying about running out of space on your mobile device. You can simply juust carry the Seagate Satellite device in your backpack and you can stream all of your HD movies to your tablet or smartphone—without tangled cords or cables. It makes it great for vacations! 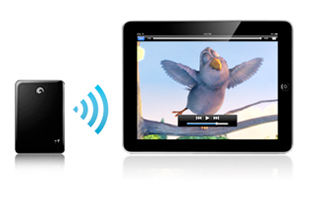 It is great for every device you got in your house and the whole family can now be on the same page...literally! Buy It: You can purchase the Satellite for $199.99 on the Seagate website.